Plus, on top of these fab $5 items, we’ve also got an exclusive 10% off code for kohls.com. You can use FALLMOMTEN until the end of December! 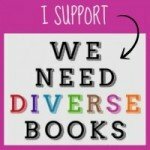 It can be used to stack savings with one other department specific code. Don’t wait another day to place your order or head over to a local Kohl’s to take advantage of this great deal on the Peanuts gang merchandise. 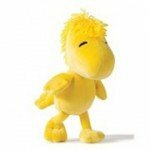 There’s a Charlie Brown plush toy (yes, at $5) and a personal fave of GRWR, Woodstock! Again, just $5 for this funny, little yellow bird who lights up children’s faces everywhere. Pick up a few copies of these classic Charles Schulz books to give as gifts to young visitors or to keep on hand and use as stocking stuffers. 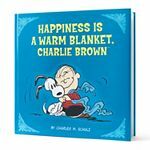 Choose from Happiness is a Warm Blanket, Charlie Brown; The Kohl’s Cares Peanuts “Be Yourself” Book; A Charlie Brown Christmas; You Can Be Anything; and a Peanuts Classic gift set that includes Happiness is a Warm Puppy and Christmas is Together Time. Kohl’s also has not forgotten about you, parents. If you’re thinking, “What’s Christmas and New Year’s without a festive meal?” Well, then Holiday Cheer is just right for you. 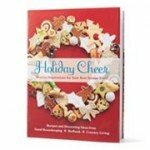 Packed with tons of holiday recipes, decorating, entertaining and gift ideas from Good Housekeeping, Redbook and Country Living, this $5 book works well both for your own family or as a hostess gift during all the activities in the days and weeks to come. 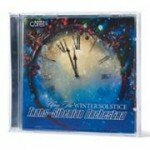 We like giving the gift of music, too, so why not give Upon a Winter Solstice, a CD from Trans-Siberian Orchestra? At $5 each, you can’t go wrong. Kohl’s Cares Cause Merchandise Program for Kids: Since the program began in 2000, this philanthropic program has raised over $231 million dollars for children’s health and education programs in local communities across the country. Help support Kohl’s Cares today by making your purchase of a Peanuts classic and bringing these treasured storybooks into your homes. 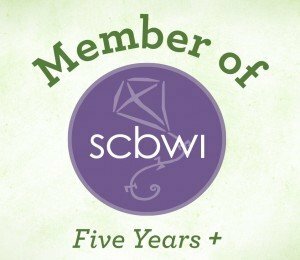 Click here now to visit the website to learn more.